Before you start reading this, please pipe these tunes through whatever speaker situation you’ve got going on. And loud. I’ve started drinking spearmint tea. Like, a lot of of spearmint tea. Several cups a night before bed, often with manuka honey. At first, it was innocent. I liked having a warm, non-caffeinated beverage that looked very grown up in my new kettle. (I am super in love with this one. I am turning into my mother.) But if the kettle was the reason I started steeping fresh mint leaves so frequently, my skin was the reason I kept at it. I was glowing, luminous. And a bit suspect, given my forehead’s penchant for big red pimples. All I changed was the tea. Time for some research, I thought. To Google of course, where spearmint tea actually has some very serious reviews on, of all places, Makeup Alley. It’s all anecdotal—but positive! Four out of five lipsticks! And that’s a tough audience to sell, too. Turns out, I’m not the only one to guzzle cups of herbal tea to stave off pimples. It feels a little like witchcraft, and I like it. So my spearmint tea superstition has been cemented. Not to put a kenahora on it, because if it’s not actually working, it’s just tea. No harm, no foul, no knocking on wood. 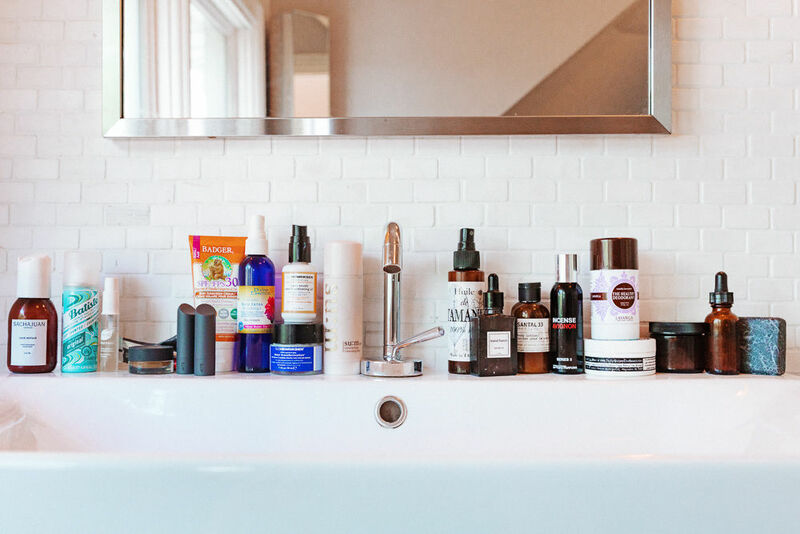 So join me and my newly minted Makeup Alley pals—what’s your skincare superstition? Do you go outside, turn around, and spit every time you get a pimple? Only ever use one cleanser? Google also said something about getting a pimple on your forehead when you fall in love, but I feel like that’s another story entirely.